Italy is a great place to take a trip for Christmas. Wonderful hand-crafted ornaments, hours of feasting on Christmas dishes and of course, wine, make the long nights and patchy sunshine all very tolerable. Across the country, every town and city has something special going on, whether that’s just the amazing Christmas lights in Rome, or the exquisite glass ornaments on sale in the shops in Venice. But here are some specific events you might want to consider in your plans for an Italian Christmas this year. Verona is a beautiful city even at the worst of times, but at Christmas it turns into the city of the nativity – over 400 nativity scenes are set up across the city. This is a relatively new phenomenon which just started in the early 80s. Some of the scenes have cribs from private art collections or pieces owned by museums and never displayed, so it’s a real opportunity. Verona also has a Christmas market, special concerts, and many restaurants serve up special dishes, such as a star shaped Christmas cake. One could be excused for going to Florence at Christmastime just because it’s Florence – the shopping markets, the gelato, the food, art, and wine bars are all there as they are in summer, but with less crowds. While you are there, though, you can enjoy Florence Noel, a family-orientated event with a nativity village, chocolate tastings, children’s plays, music, and other fun sights. It goes without saying, also, that Florence is very photogenic in the winter, especially with the lights and if you’re lucky, the gentlest sprinkling of snow. Winter is a great time to visit Rome as you can enjoy some of the famous museums without the crushing crowds and queues. But I also think you’ll enjoy just wandering from square to square seeing the massive Christmas trees out on display. Rome also has a decently-sized Christmas market which has some wonderful keepsakes if you’re looking for a souvenir. In the far north of Italy, in the shadow of the mountains of Austria, is where you’ll find many of the more famous Christmas markets in Italy – perhaps these are influenced by their neighbours to the north, but they’ve grown to take on a spirit of their own. 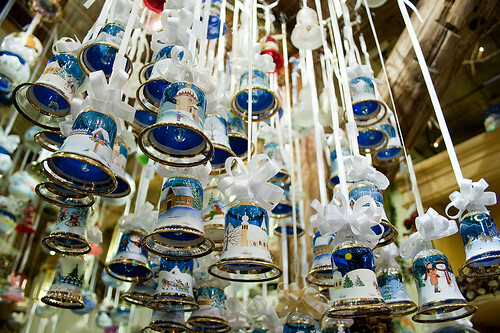 Bolzano is the most famous, with vats of mulled wine always fresh and hot, tasty pastries and treats, and of course the many wooden ornaments for purchase. If you’re in the area, you’ll probably want to visit one of the other markets, especially in South Tryol. What’s your favourite Christmas event in Italy?